Now, add the expensive John Cooper Works package to the Countryman's already niche goodies list, and Mini starts to lose me. So, I'm getting the softer suspended, taller, generally less dynamically joyful version of the brand's core values, but now you're charging me at least $35,000 ($13k more expensive than the basic, front-drive Cooper Countryman and $7k more than the MSRP of the Cooper S All4 version)? What's that? You're going to make it look like a garish, tippy-toed tuner car in the process? Take my money. Or, actually, let me keep it. 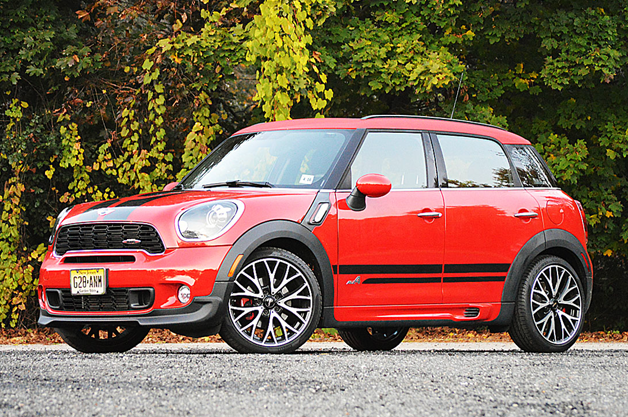 I can swing with a lot of the weirdness that Mini has to offer, but this car pushed me past my limit.